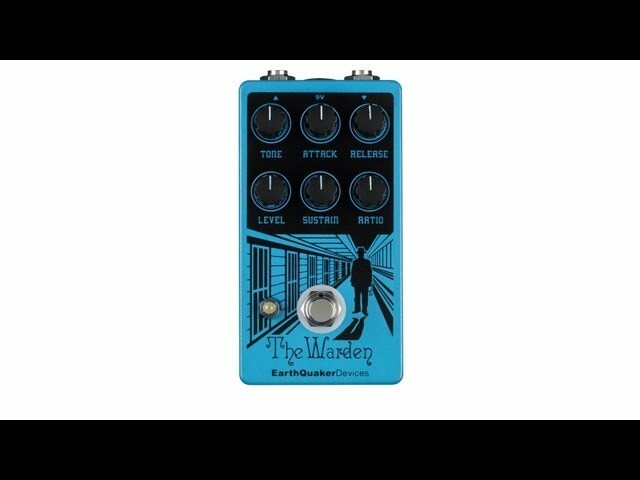 The Warden is an optical compressor with a feature set usually reserved for studio grade units. Built with high grade components and internally powered by 18v, The Warden has loads of gain and sustain on tap. With complete control over attack, release, sustain and ratio, The Warden will allow everything from a heavy squash with fast attack and release to barely there subtle compression. Optical compression has a reputation for having more character than a VCA or FET based compression and The Warden is no exception. ToneThis pedal was designed to slightly color your tone, the coloration can be dialed-in to your taste. LevelThis controls the overall output and is affected by the sustain and ratio settings. SustainThis is the heart of The Warden. It controls how hot the signal is, which changes the dynamics of the compression. RatioThis determines how much the gain reduction affects the signal. AttackThis controls how quickly the compressor reacts and starts leveling the signal.